This idea comes from First Grade Garden! Love it! Just pinned it! This is such a wonderful idea! Thank you for sharing. I LOVE YOU!!! 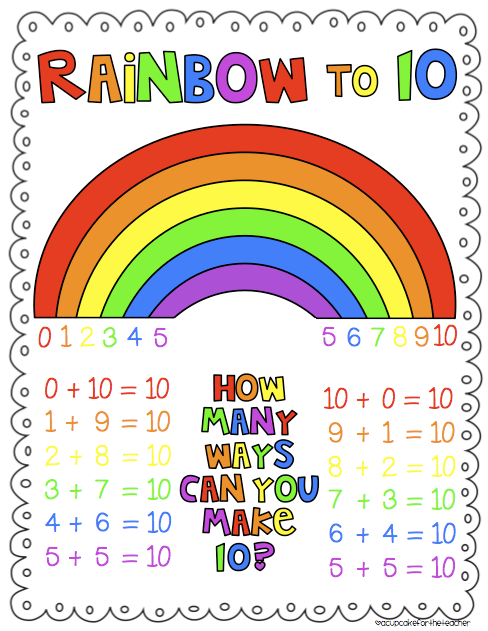 I was just searching Pinterest for a printable Making 10 Rainbow sign!!! Seriously, like 2 hours ago :) We are going to use the tracers from your St. Patty's day craftivity and make some rainbows :) I'm so super excited now!!! Thanks so much for sharing! 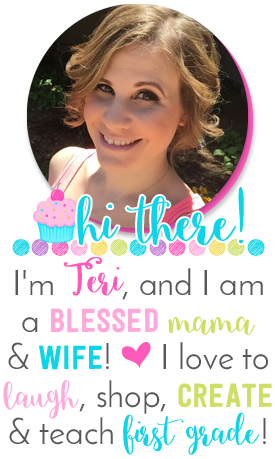 Love your poster printable and worksheets that go along with your chart! Super cute- thank you for sharing! What a fantastic idea! I am always looking for ways for the kids to make these thoughtful connections so it sticks. Thanks for sharing this idea with us! Also thanks for the adorable freebie! I love this idea! Thanks for the freebie! Oh.My.Goodness!! I LOVE this! This is just such a great visual! Thanks for sharing!! I used this strategy with my little darlin's when I taught addition strategies a few weeks ago. 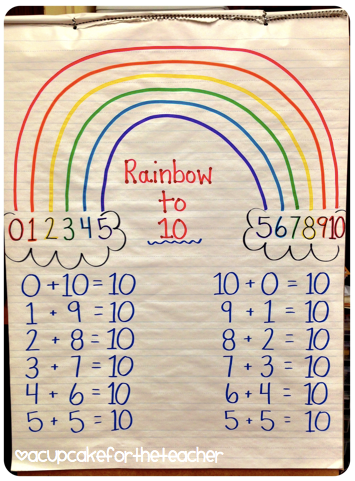 Now whenever my students see addends of ten, they say "Rainbow Partners!" I love the visual!! Ok now not nay do I have to see your room but could you teach me how to make pretty charts??? I love this. I am going to share it. I'm so glad to be your newest follower. THANKS... I have several kiddos who are going to find this VERY useful. I love all the activities you post. I am your new follower. Great concept; love the visual component; increases the chances of it being stored in procedural memory. Your generosity with the freebie is much appreciated. Cheers! Love it Love it Love it!! What a great idea. By St. Patrick's day my Kinders will be so ready for this. Thanks for sharing! I am pinning, so I don't forget! Great ideas. Each year end I add new gifts to my site and I am going to share some of the ideas you gave. We did rainbows this year too! Once I showed them how to move from the left to the right they got it down! It's such a creative way to do this. Never would I have thought that I'd be so excited to make a 10, lol! This is so simple yet so effective! Love it! LOVE this!! I live in Maui so we see PLENTY of rainbows. Thanks so much!! Thank you for sharing this amazing freebie. The kids are going to love it. I just wanted to say thank you and congratulations! Your idea is being pinned like crazy. I for one am so in love with the anchor chart that I bought myself a new set of Mr. Sketchers markers just for the anchor chart and I'll be using your printable too. Thanks for sharing with all of us! Just found this and pinned it! I will use it on Monday! Thanks!!! We have been working on different ways to make numbers! Thank you so much for the freebie! My kids really enjoyed the playing games, He is weak in math subject then i decided to download Math Practice Games, Now he is much better in math. You have also so many helpful articles for him. I absolutely love this. Thanks for sharing. I will definitely be recommending your idea on www.thegrade3teacher.com. Thanks again. 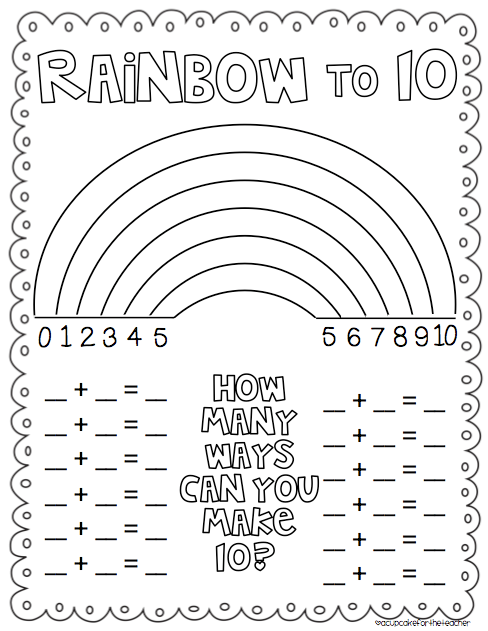 Love this worksheet ... my year 1's will be completing this as an independent task this week :) They love colouring so hopefully as this is very visual it will help them! I love this numeracy resources but I haven't been able to download the worksheet as the google doc link is not working. Is there any chance you could email me the resource? I Caved... and a January Freebie! Oh So Sweet Valentine's Day Centers! A New Year at School and More Fonts!